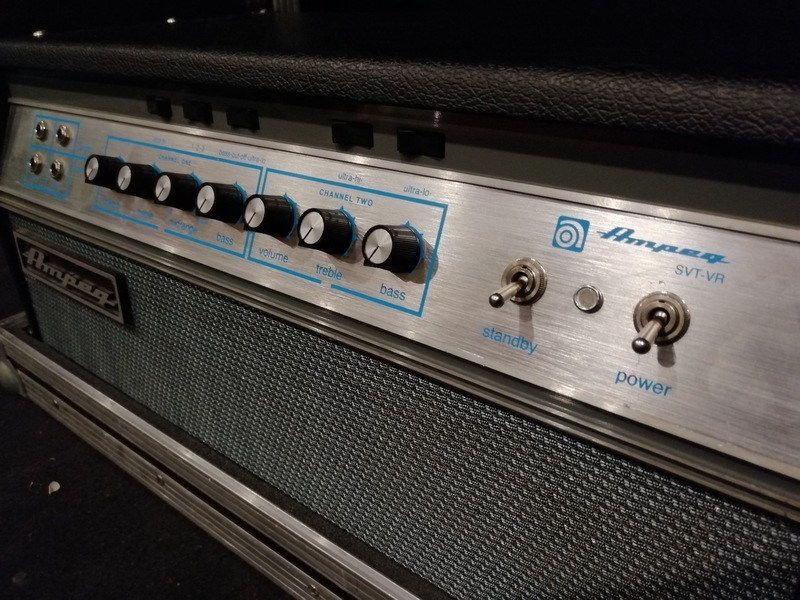 kal72's review (This content has been automatically translated from French)" Ampeg SVT-VR, or nothing!" 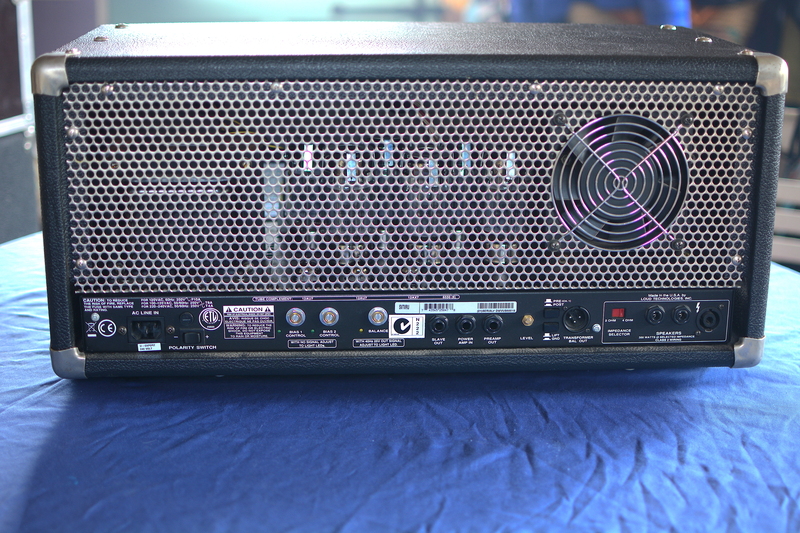 300 watt all-tube, 2 channels, corrections minimalist but that's why we love it! Easy to use, remember that this is for bassists ... but even a donkey would get a killer sound with it! For Classic Rock 70's or Hard Rock 70's, used with my details (62 & 57) or my Thunderbird and coupled to a SVT810AV + a SVT215E, it moves badly, it moves as much air and it vibrates the slip, I the guaranteed! The sound is clean, clear and accurate whatever the volume, media-rich rocks, hoarse and raspy so characteristic of the old Ampeg SVT, but also knows how to fatty wish when you ask him ... with my Bass Big Muff, c is pure bliss! Sometimes, I put a SVT412HE to replace one of the two previous speakers, and it is always enjoyable ... suddenly, as I'm a guy too, I've bought a second ... 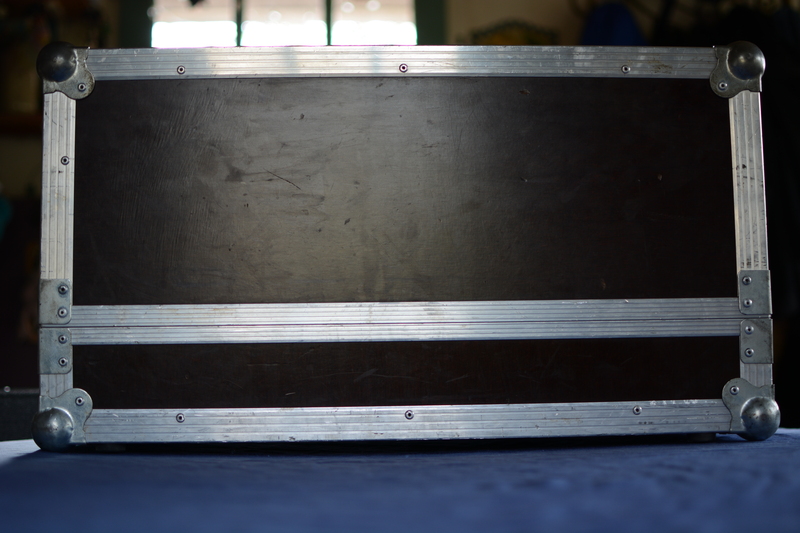 I do not miss more than a second 4x12! Gib*51's review (This content has been automatically translated from French)" WHAT ELSE?" Minimum and this is perfect. We can no longer simple. With any régalge was SOUND. All the sounds I want. Jazz Bass 18 v U.S. luxury. Sounds like everything I like + but big sound. + A bit of one year. Yes qq one but I quickly understood. Weight 40 kg but you must know what you want! 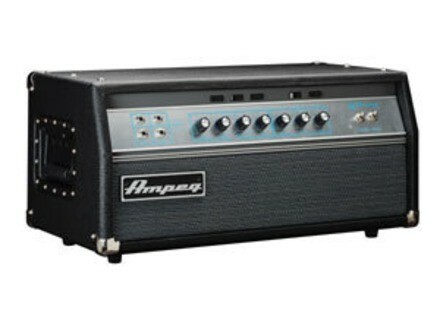 It is expensive, it is AMPEG, what do you do? 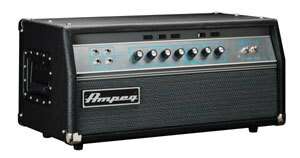 The only problem with this amp is that when we played it once, it was no longer enjoy anything! This is THE sound I like in a bass amp. Any Fender plugged it becomes a weapon of war. The crunch of the second channel is simply amazing! I have the opportunity and the chance to play on the local requisitioned, and each time it's a treat to play or hear. Before him stood in the room her little sister "SVT Classic." Okay but far below the SVT VR. I now have a headache when I plug my bass in my ID at home. I play (brit pop), (yuck the term) to an accuracy of 66 with no effects just good cables and a Boss TU2! I'm a fan of control bias by leds! The sound is impeccable and unforgettable. The choice between Vr and the venerable SVT SVT cl me was easy! The Vr is just above the extremely Cl which has fewer pro warm months than its big sister. The CI does not post on its output EQ DI, have a head of the award depend on the preamp to the console seems too risky, I want my sound in my back and in the face! And what a sound! the lamp and the great, the nobility, the great art! 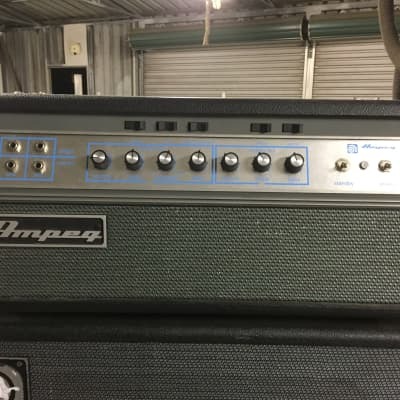 Cl did not powered on another planet as Vr did, compared to the SVT III pro series which I also have a copy now become a replacement unit for the event is a great misfortune happens. The look with the 810 BC is paradigmatic. This combination makes it the best bass amp on the planet nine! Metallica Neil Young! The sound palette is infinite. Ok it's very expensive to carry and etlourd boxes backline has only very few models (often booked one month in advance) but the rewards are worth the effort. 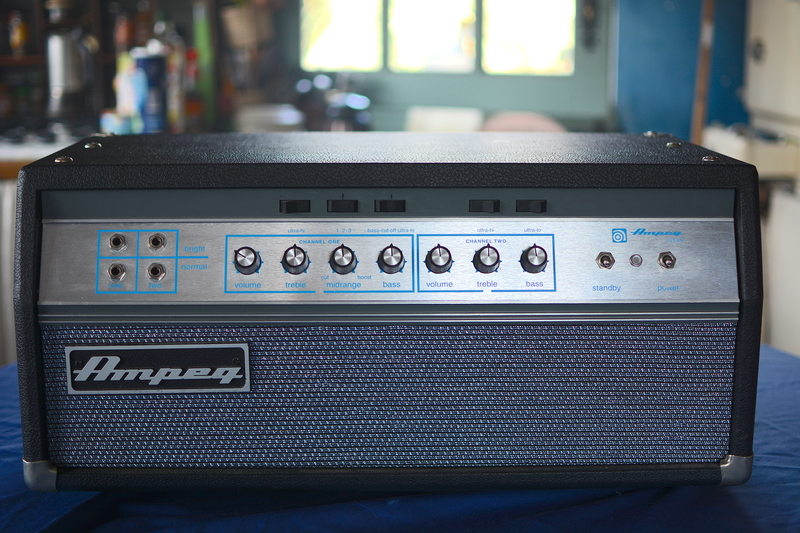 This amp has enhanced and ennobled my vision of sound and the role of a bassist.